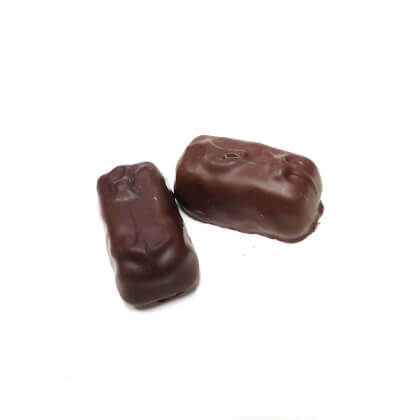 Gourmet milk or dark chocolate covered sugar-free raspberry jelly. Approx. 15 pieces per half pound. Pearls half-pound box.